The comforting scent of beloved old books, captured in a candle. 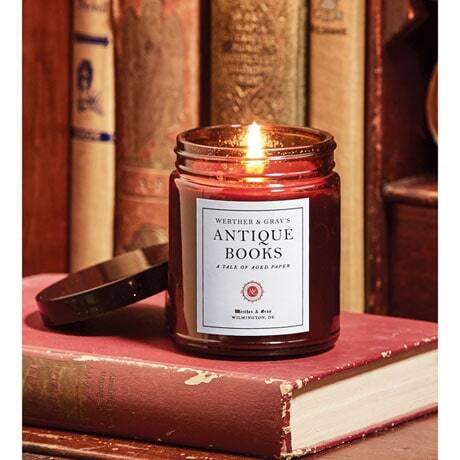 A fragrant blend of aged paper and leather, with notes of vanilla, soy-blend candle burns for up to 70 hours. Handmade in an artists' studio in Delaware, it's a gift to delight any book lover. Amber glass jar is 3 ½" high.